If your passion is for earlier cars – everything from Austin Sevens and Model T Fords to Rolls-Royces and Duesenbergs – then The Automobile is for you. 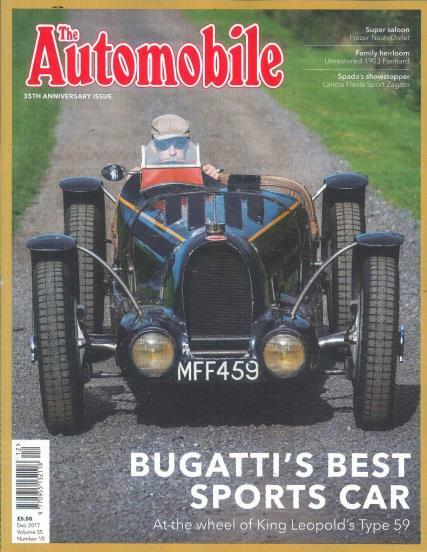 This monthly magazine is the only one in the world specialising in pre-1960 motor cars. Unlike so many other old-car magazines, The Automobile insist original, in-depth research goes into all the articles published. The specialist authors delve deep into the archives to find information and images that have never before been published. Elegantly written, and illustrated by original photographs, technical drawings and artwork, this material makes up issue after issue of an authoritative journal you will want to collect and refer to again and again. Great choice. Father loves it!